The courts in the UAE will not hear an action if the parties have agreed to refer the matter to arbitration. The Claimant in this case brought court proceedings against the Defendant, seeking an order from the Court requiring the Defendant to pay the sum of AED 6,620,000 plus the legal interest accrued as of 6/4/1996 until payment is made in full. The parties had entered into contracts, pursuant to which the Defendant was required to pay the Claimant commission in respect of services provided by the Claimant. Further, the Claimant argued that the Defendant had terminated the last contract without justification, causing the Claimant to incur financial and moral losses estimated at AED 500, 000. The Defendant argued that the Court did not have jurisdiction due to the existence of an arbitration clause. The Claimant filed a precautionary application requesting that the case be transferred to arbitration and that it is supervised by the court. The lower court issued a judgment confirming that it did not have jurisdiction due to the existence of the arbitration clause and accordingly, the Claimant’s objection on jurisdictional points was dismissed. The Claimant appealed this judgment; however, the Court of Appeal issued a judgment confirming the lower court’s judgment. The Claimant appealed to the Court of Cassation. The Claimant’s appeal to the Court of Cassation was based on five grounds, all of which, save for the fourth ground, were based on the premise that the lower court incorrectly applied the law and the discovery of evidence was unsound. The evidence submitted to the courts included correspondence between the parties in respect of the appointment of an arbitrator. The Defendant had replied to a letter sent by the Claimant concerning the arbitration which stated that there was no reason to refer the matter to arbitration. The lower courts did not treat this as a waiver of the arbitration clause. Further, the Claimant argued that the arbitration clause was null and void because it did not specify the seat of arbitration, competent court, and its subject matter as per the provisions of Article 203(3) of the Civil Procedure Code. The Claimant also argued that the rules set out in India’s Arbitration Act of 1940 or the Rules of the International Chamber of Commerce (ICC) could not remedy these defects. 1. It was necessary for the courts to establish that the option to arbitrate had been waived. This is a matter of fact that is decided solely by the trial court when such court interprets the said agreements based on the intention of the contracting parties. Such interpretation shall be made in accordance with the explicit meaning of the terms and expressions provided therein and the decision of the trial court shall be issued in light of reasonable findings. 2. The trial court has the power to determine the implicit waiver of the arbitration clause without being scrutinized by the higher courts provided there is no ambiguity with respect to the interpretation of the contract provisions. 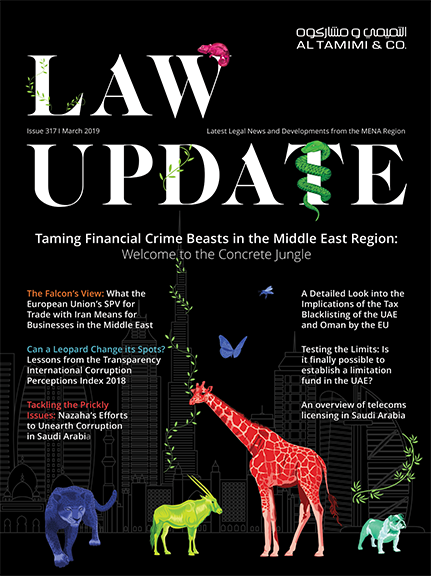 It was established that the Defendant replied to the notice (which was served by the Claimant and which concerned the appointment of an arbitrator pursuant to the terms and conditions of the agreements made): “Our client denies in particular the claim made by your client of dues totalling AED 6.12 million, any portion thereof or any other amount … Therefore, there is no reason to referr the matter to arbitration as suggested by you.” It was held that this did not constitute a waiver of the right to arbitrate, the statement that: “there is no reason to refer the matter to arbitration” did not constitute a waiver of arbitration. Upon review of the letter, the Court determined that the Defendant instead meant that there was no legal basis for the amount claimed by the Claimant because the Claimant had failed to perform its duties under the agreements. Accordingly, the letter meant that the Defendant rejected the amounts requested but not waived his right to arbitration. This is a reasonable conclusion based on the documents and the explicit meaning of the terms and expressions included in the Defendant’s letter. 3. There is nothing in the Civil Procedure Code which invalidates an arbitration agreement if the seat of arbitration is not agreed upon, as this can be established during the legal proceedings. Challenging the appealed judgment in light of the reasons referred to is therefore baseless. 4. The Claimant argued that the three agreements between the parties were entered into outside of the UAE and that the agreements stipulated that in circumstances of dispute, matters should be referred to arbitration by virtue of the Rules of the International Chamber of Commerce (ICC) or India’s Arbitration Act of 1940. However, the Court of Cassation held that Article 204 of the Civil Procedure Code, relating to the Court’s ability to appoint arbitrators still applied. Further, Article 98 of the Civil Procedure Code also applied (providing that a party may amend its claim after a case has been filed). The Claimant’s application to appoint arbitrators was not filed in accordance with normal procedures rather it was contained in the Claimant’s closing memo before the Court of First Instance. Accordingly, the appeal was denied.